PASADENA, Calif. -- With its daily supply of solar energy increasing, NASA's durable Mars Exploration Rover Opportunity has driven off the sunward-tilted outcrop, called Greeley Haven, where it worked during its fifth Martian winter. Opportunity's first drive since Dec. 26, 2011, took the rover about 12 feet (3.67 meters) northwest and downhill on Tuesday, May 8. The rover operations team at NASA's Jet Propulsion Laboratory, Pasadena, Calif., received confirmation of the completed drive late Tuesday, relayed from NASA's Mars Odyssey orbiter. "We're off the Greeley Haven outcrop onto the sand just below it," said rover driver Ashley Stroupe of JPL. "It feels good to be on the move again." While at Greeley Haven for the past 19 weeks, Opportunity used the spectrometers and microscopic imager on its robotic arm to inspect more than a dozen targets within reach on the outcrop. Radio Doppler signals from the stationary rover during the winter months served an investigation of the interior of Mars by providing precise information about the planet's rotation. Opportunity will look back with its panoramic camera to acquire multi-filter imaging of the surface targets it studied on Greeley Haven. The rover team will also check that the power supply still looks sufficient with the rover at a reduced tilt. Opportunity kept a northward tilt of about 15 degrees in recent months at its winter haven. In Mars' southern hemisphere, that tilt kept its solar panels favorably angled toward the winter sun low in the northern sky. The winter solstice for southern Mars was at the end of March. The northward tilt after Tuesday's drive is about 8 degrees. Opportunity has been exploring the Meridiani region of Mars since landing in January 2004. It arrived at the Cape York section of the rim of Endeavour Crater in August 2011, and has been studying rock and soil targets on Cape York since then. "Our next goal is a few meters farther north on Cape York, at a bright-looking patch of what may be dust," said Opportunity science-team member Matt Golombek of JPL. "We haven't been able to see much dust in Meridiani. This could be a chance to learn more about it." Beyond the dust patch, the team intends to use Opportunity to study veins in bedrock around the northern edge of Cape York. A vein inspected before winter contained gypsum deposited long ago by mineral-laden water flowing through a crack in the rock. Endeavour Crater offers Opportunity a setting for plenty of productive work. The crater is 14 miles (22 kilometers) in diameter -- more than 20 times wider than Victoria Crater, which Opportunity examined for two years. One type of deposit detected from orbit at some locations on Endeavour's rim contains ancient clay minerals, interpreted as evidence of ancient, wet conditions with less acidity than the ancient, wet environments recorded at sites Opportunity visited during its first seven years on Mars. Unless wind removes some dust from Opportunity's solar array, allowing more sunlight to reach the solar cells, the rover will need to work during the next few weeks at locations with no southward slope. "We'll head south as soon as power levels are adequate to handle the slopes where we'll go," said Mars Exploration Rover Deputy Project Scientist Diana Blaney of JPL. "There are some deposits on Cape York where, based on their geologic setting, we think there's a good chance of finding ancient clays." 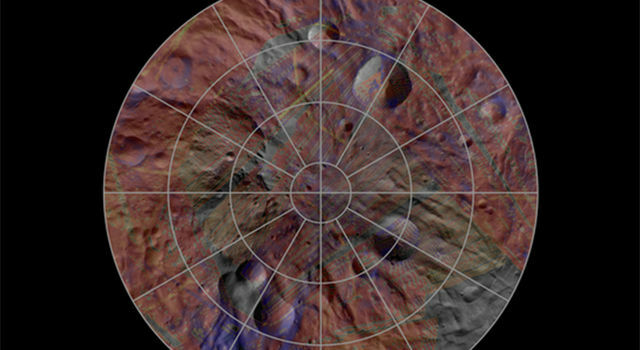 A later destination for Opportunity lies farther south, on a rim segment named Cape Tribulation, where ancient clays have been detected from orbit. Opportunity and its rover twin, Spirit, completed their three-month prime missions on Mars in April 2004. Both rovers continued for years of bonus, extended missions. Both have made important discoveries about wet environments on ancient Mars that may have been favorable for supporting microbial life. Spirit stopped communicating in 2010. NASA launched its next-generation Mars rover, Curiosity, on Nov. 26 for arrival at Mars' Gale Crater in August 2012. Landing successfully is quite a challenge, and Curiosity's mission is pioneering a new landing method to enable use of a heavier rover. Curiosity is about twice as long and more than five times as heavy as any previous Mars rover. Its size and mass accommodate a science payload designed to study whether the landing region has had environmental conditions favorable for supporting microbial life, including chemical ingredients for life. NASA's Jet Propulsion Laboratory, a division of the California Institute of Technology in Pasadena, manages the Mars Exploration Rover Project for the NASA Science Mission Directorate, Washington. More information about the rovers is online at: http://www.nasa.gov/rovers and http://marsrovers.jpl.nasa.gov . You can follow the project on Twitter at http://twitter.com/MarsRovers and on Facebook at http://www.facebook.com/mars.rovers .